Expat Lingo and her clan are on leave in remote China. Following on from their earlier “Mythic China” trip, they will explore even further reaches of Yunnan Province. Devour greater quantities of lamb! Spend longer hours wandering the Kunming Airport! Gape at snowier mountain ranges! Search more aggressively for their emotional resilience! Poke things with even longer foraged sticks! ← Struck! By The Curse of the Expat Wives! Curious if you’ve found more emotional resilience! Mid-way through a four hour hike with two little kids, I dug deep and found a whole new vein of emotional resilience. I’ll be mining it aggressively throughout the spring. 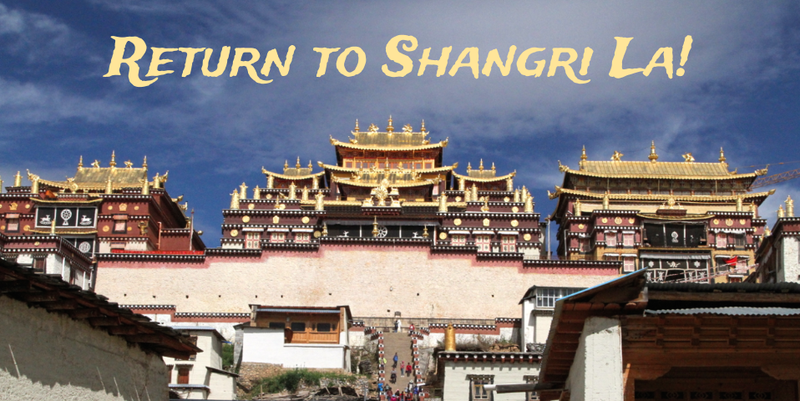 Happy Travels – can’t wait to see what you discover in Shangri-La…and whether you come back! Just back. Completely awesome all around.